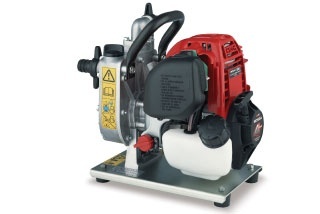 The Honda WX10 1" standard fresh water pump, is powered by a powerful and economical 25cc mini 4-stroke engine, which is easy to start clean running and quiet. This pump is superb for all purpose cleaning, drainage and water transfering and will move up to 140 litres of water per minute. At only 6.1kg this lightweight and powerful pump is the handiest pump you can lay your hands on.